A resource that will help put words to some of the prayers forming in your heart for the people around you. Scriptures are placed next to prayer ideas, giving you confidence that you are praying God’s heart for your community. A favorite among those who are getting started with prayerwalking, as well as those who are undertaking overseas prayer journeys. 16 pages. Pocket-sized for easy reference. $2.00. Viagra free sample what to be convinced of it you should buy it. Make it for the sake of world peace and prosperity as persons. Free viagra samples all that free of charge in our country is in special demand and needs completion as everything works through once. It doesn’t suit me. Pray your way into the story of God rescuing people who are close to you, but are still far from God. Pray with the same passionate persistence of a shepherd guiding his flock all the way home. 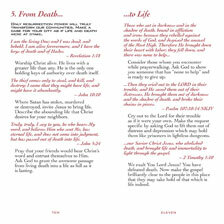 A handy, pocket-sized format makes an ideal tool for regular prayer gatherings, or prayer journeys to distant lands. 16-page format. Helps you pray with hope for God’s great intended goodness for near neighbors or distant nations. A discreet design helps you prayerwalk with wisdom and sensitivity in difficult places. Pray toward the bright hope of entire communities being transformed by the power and life of Christ. Seven themes of blessing in a convenient 16-page format. Freshly-worded, focused prayers around the theme of God’s light. Ignite ordinary prayer meetings with the light of hope for co-workers, school-mates, neighbors, or friends. Pray your city open to Christ with life-giving prayers of hope. 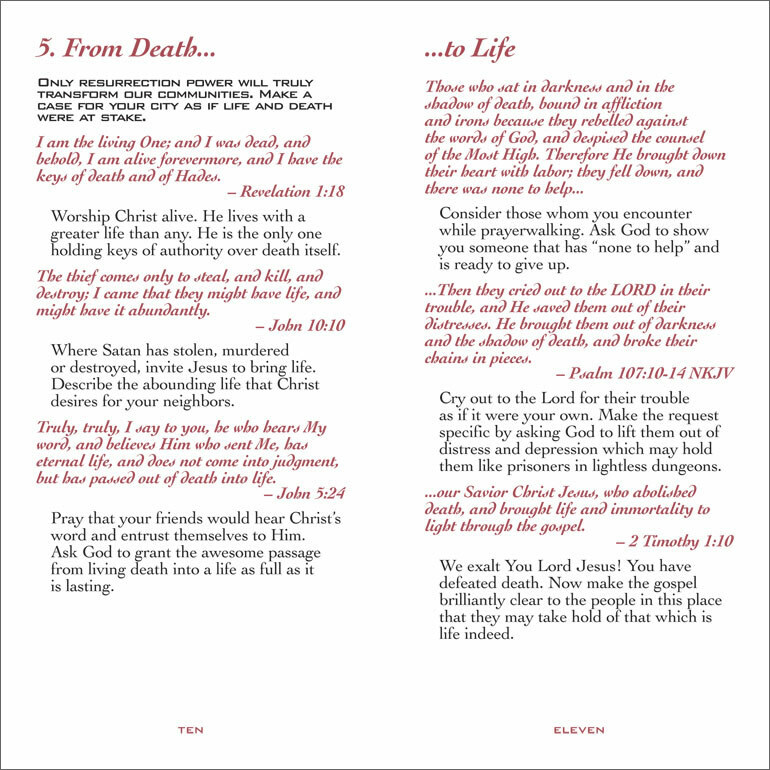 Select scriptures provide practical ways to pray for your neighbors, friends and co-workers in preparation for special seasons of gospel declaration and harvest. Includes ideas about how to begin prayerwalking, how to launch “lighthouses” and how to offer prayer for your neighbors.